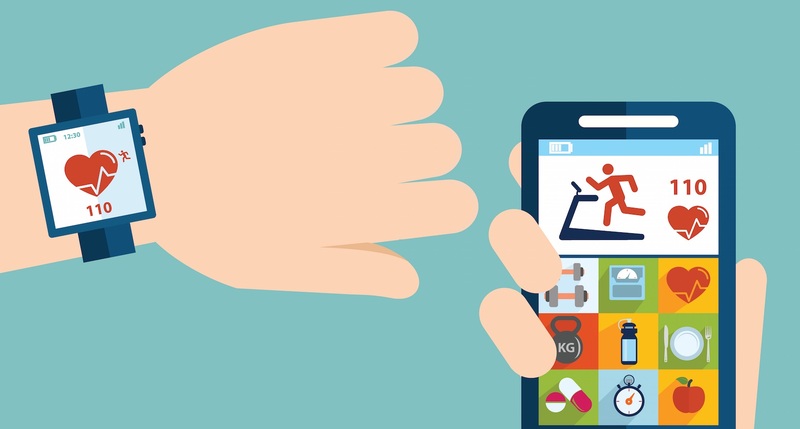 Is this the end for apps? Contextual information is changing the world. We have more data available to us than ever before, and much of it is being generated and consumed by the mobile devices in our pockets. Right now, businesses are creating systems and apps that will enable us to act on that data to automate our lives. Apple and Google, as the two most important entities in the mobile industry, are leading the way and opening up new, exciting possibilities for app creators. But questions have recently been raised about what the future holds for custom apps, as mobile operating systems become more intelligent. An important upgrade to Google’s digital assistant, Google Now, was recently announced at Google I/O 2015. 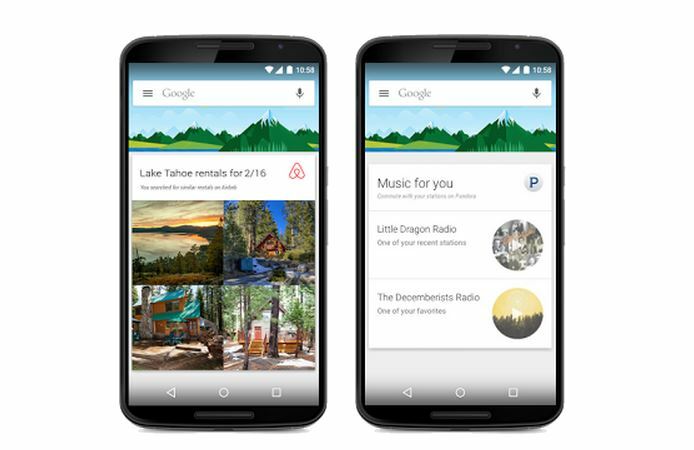 One of the most prominent changes is Google Now on Tap, which enables users to immediately be directed to relevant contextual information, simply by tapping the home button when within an app. Combined with its enhanced contextual understanding of your activities, calendar, contacts, and location, Google Now is beginning to feel like the personal assistant that really knows us. With more than 100 services that currently tie into Google Now, there is already a broad pool of data for it to draw from, and as it grows, many more services are certain to integrate with it. When I first saw the demo, I immediately thought of The Knowledge Navigator, a vision presented by John Sculley in 1987, then CEO of Apple, and contextual “Data Detectors” that we were working on in the 90s when I was at Apple. At WWDC 2015, Apple followed suit by showing off a smarter Siri, which added predictive intelligence that can learn a user’s preferences, which it uses to automate how it presents information. With its new “proactive” features, Siri is beginning to catch up to Google Now in its ability to use artificial intelligence to better understand users. But in contrast to Google’s strategy, Apple is focused on privacy, and promised to keep user data anonymous. So, Siri can’t really understand what you’re looking at on the screen at that moment, although a “Siri, remember this” promises to return you to whatever you were doing at a future point in time. With more artificial intelligence being built into operating systems and their greater ability to find and present relevant data, some have predicted contextual information may eventually push users off of third-party apps. Although the recent announcements have reignited the debate, the point of view that Google Now and Siri could be the death of apps isn’t new. Tom Simonite, MIT Technology Review’s San Francisco Bureau Chief, wrote in February 2013 that “virtual helpers conceived [to be general purpose tools] could transform how people get stuff done with a smartphone, and remove the need for them to interact with the apps and websites they must turn to today… It may be that the era of apps being the main thing about mobile devices is ending.” After all, why open an app if the data within it is easily accessible through Google Now or Siri? 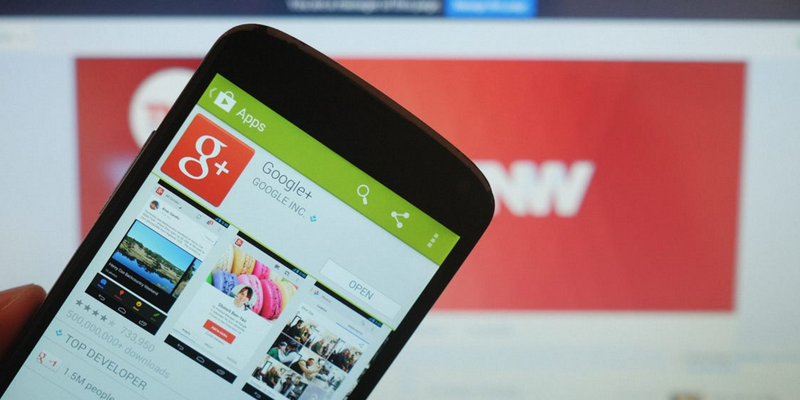 One of the improvements Google made at I/O was to improve deep linking between apps and web pages. Developers are now able to tell the Android operating system which app to open automatically, rather than requiring the user to choose. The connectivity between apps and the web continues to improve and the transition between them is constantly becoming less noticeable. Google Now and Siri have a place in this, too, as they will surface a combination of Web and app content based on your context. 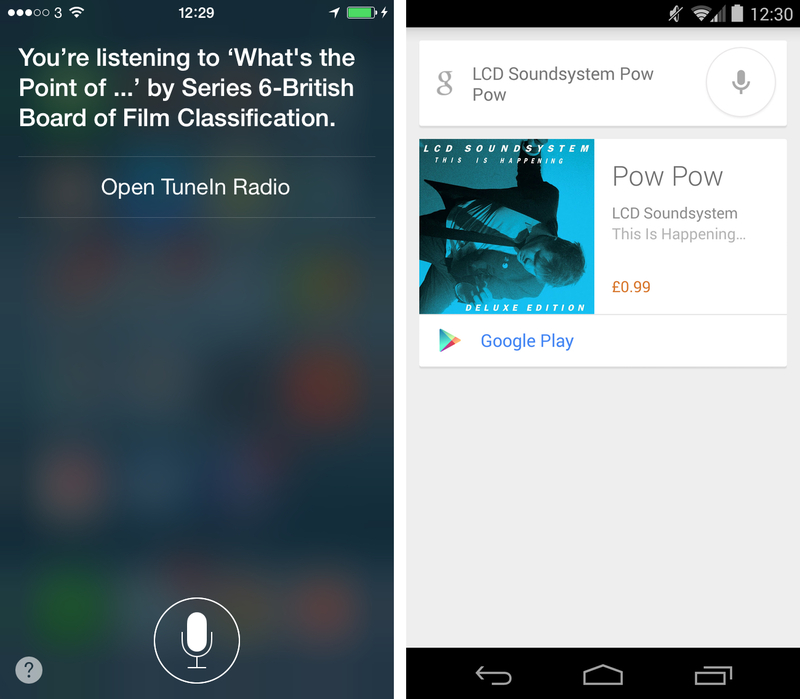 By tying into the new Google Now and Siri “app content” APIs, apps can also provide custom search results. This enables Google Now and Siri to help you prioritize app content, as they should, because if you have taken the time to download an app, you probably value its content more than what you might find on a website. However, information from the Internet is also valuable to supplement app data to provide additional information that might not reside in your existing apps. The increased connectivity between apps and the Web will enhance the user experience by offering the right data, from the right source, at the right time. Consumers appreciate glance-able information – little bits of relevant information presented at the most needed time – but deeper, engaging experiences are necessary as well. Virtual assistants will actually help increase engagement with applications due to their ability to bring notifications front-and-center and leverage increasingly connected information sources. In most apps, glanceable moments are one piece of the experience. Both Google Now and Siri will allow deep linking to take the user from those instant notifications into additional rich content of the apps they’re connected to. But other apps don’t serve an informational purpose at all, such as games. The experience of playing Minecraft or Angry Birds will stay the same, regardless of upgrades to Google Now or Siri. App categories like media, e-reader or social media apps might have discoverable information, but the actual consumption of content and engagement with it will still primarily take place within the apps. Take Facebook, for example: Someday soon you might find out a friend is nearby when Google Now alerts you. You might then open the Facebook app to find out your friend’s recent updates, and after that, glance over to your feed and get sucked in for hours. Apps deliver a deeper level of engagement and a richer experience, which is why they will continue to dominate mobile phone usage (some estimates put that number at over 80 percent of time spent). Virtual assistants and their associated notifications will provide an additional point of entry that will lead to more frequent interactions with apps. In fact, among developers, one of the biggest complaints about Siri was the lack of third-party support. However, Apple announced at WWDC that it plans to open up custom search results to developers, so third-party app results will soon appear in Siri and Spotlight Search, which significantly expands the platform’s potential. Both Google Now and Siri offer users a snapshot of contextually relevant info from an app, and embedded links will encourage people to open the app. What we’re seeing is an evolution of notifications. And notifications actually significantly increase app usage. 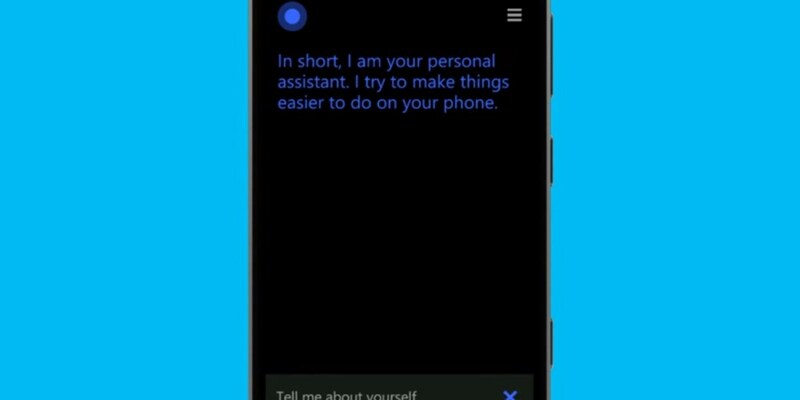 So will virtual assistants. Apps will continually evolve. 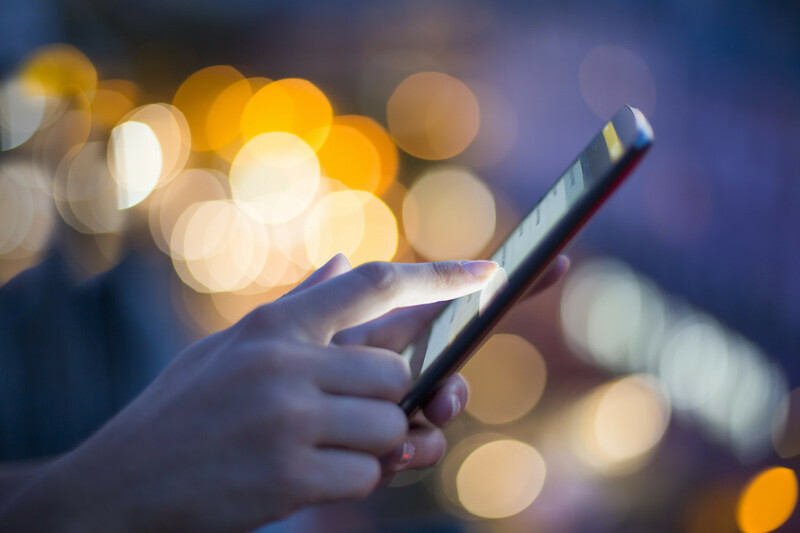 Mobile platforms will become more intelligent, and the mobile experience of the future will be vastly improved because of apps’ greater connectedness and smarter use of data. Google Now and Siri will not be the death of apps, they just might be ushering in a new era.